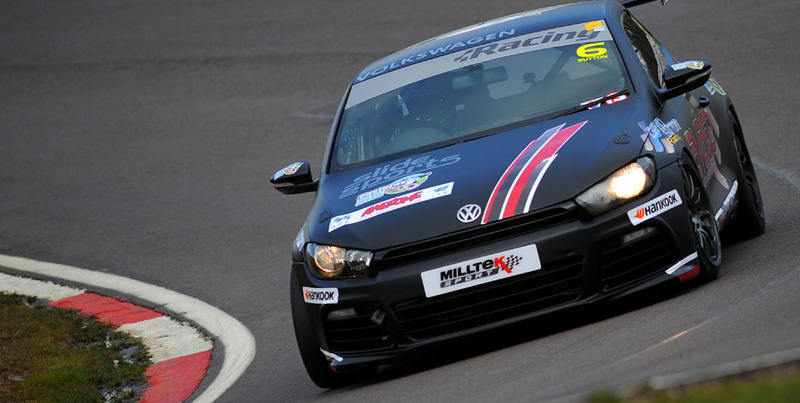 David Sutton, who blitzed his way to the top of the Milltek Sport Volkswagen Racing Cup standings with two wins and a second-place finish at Oulton Park, will after all be able to defend his championship lead this weekend (2/3 May) at Rockingham. Sutton’s SlideSports team-mate from last season, David Fairbrother, has stepped in with sponsorship from his A.D.D. 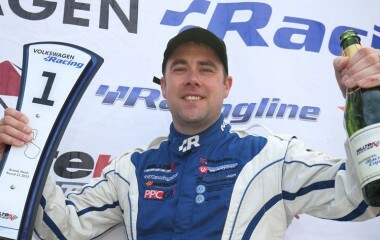 Express distribution firm to secure the Rotherham racer’s place on the grid. 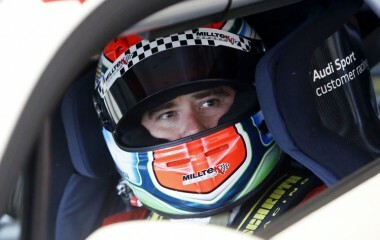 Sutton’s closest championship challenger currently is Team HARD Golf GTI man Howard Fuller, who also achieved a hat-trick of podium finishes at Oulton Park. Third overall on points is 2013 Champion Aaron Mason, who has won at Rockingham for three years in succession and who will be hoping that the tyre-wear issues which beset him in Cheshire can be eradicated. 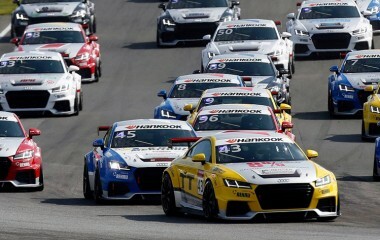 The 30-car field of Milltek Sport Volkswagen Racing Cup challengers will face a busy time at Rockingham with qualifying and a race on Saturday followed by two further 20-minute sprint races on Sunday in support of the headlining British GT Championship event. The Sunday afternoon finale will be screened live across Europe on Motors TV. Rockingham is almost a home race for Oulton Park’s other race winner, Wisbech-based Joe McMillan, and for Sawston’s Lucas Orrock. McMillan’s Cobra Engineering Scirocco held Sutton at bay for the duration of the reverse-grid race and with a year’s experience of the championship under his belt, Joe looks set to be a force in the future. Orrock, meanwhile, will be keen to improve on the single podium finish he achieved last time for Silverstone-based KPM in the Vindis/Milltek Sport Scirocco. 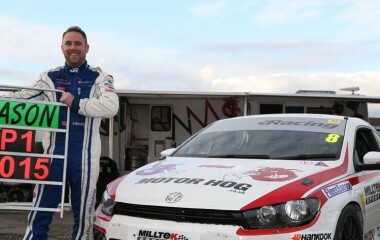 The best that reigning triple champion Joe Fulbrook could salvage from Oulton was a fifth, but Joe was a winner at Rockingham in 2013 with his Golf GTI and can be expected to bounce back. Championship debutants Lee Allen and Bobby Thompson impressed last time out, with multiple saloon-racing champion Allen collecting a hat-trick of sevenths in his Maximum Motorsport Scirocco and 18-year-old former Fiesta racer Thompson a top-10 finisher three times also. Nottingham-based racer Jack Walker-Tully and double VW Cup champion Phil House complete the top 10 as the championship heads to the Speedway, with AWM Golf driver Simon Tomlinson knocking on the door to join them after a consistently good showing in the three opening rounds. Disabled racer Simon Andrews, whose Golf was badly damaged in a startline shunt at Oulton Park, hopes all will be repaired in time to enable him this time to enjoy more than a few seconds of competition. Sixteen-year-old Damani Marcano returns with Team HARD as the youngest in the field.